Western Greyhound ceased trading this morning and made all of its drivers redundant. No Western Greyhound services will be running. 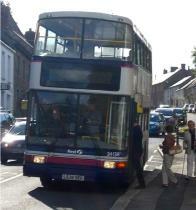 First Bus are in urgent discussions with Cornwall Council Passenger Transport Unit and with the Traffic Commissioner about providing replacement services. 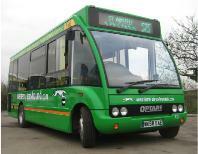 There will be some buses running from Tregony - first bus today at 10:05 to Truro. It will be free of charge because the service will not be registered with the Traffic Commissioner. Please ask the driver for details of return journeys. First have advised that they will be running a timetable as follows on Friday 13 March and Saturday 14 March. Further details about next week to follow. I have been advised that First is aiming to provide replacement services to cover many of the Western Greyhound routes including the 522, 551, 550 and 520. They are hoping to publish timetables over the weekend. Please watch this space and I will give updates as soon as they are available.